As a nationally recognized home remodeling contractor and custom home builder based in Dallas, TX, Joseph & Berry offers a team of unparalleled craftsmen and designers who care about making your life and your home better. We provide a white glove customer service experience that makes the design process as seamless and stress-free as possible for our customers. When you choose Joseph & Berry for your bath or kitchen remodeling, no matter how small or large the project, you can expect the same level of high caliber service that’s become expected of our brand. In fact, we’re so confident in the quality of our work and the level of customer service we offer, we provide a lifetime workmanship warranty for every project we complete to give our customers added peace of mind. No matter if you’re completely redesigning your kitchen from light fixtures and flooring to countertops and cabinets, or if you simply need a refresh, Joseph & Berry has you covered. From your first design consultation until the last step in the construction process, your dedicated Joseph & Berry team will be with you every step of the way. See why so many Dallas area homeowners have trusted us with their kitchen remodel. You can also find ideas to spice up your kitchen by exploring our galleries. Our bathroom remodeling services go beyond just replacing an old bathtub or slapping in some new cabinets. Our award-winning designers work hand-in-hand with each customer to review inspiration boards, sample projects and design options to help create the perfect vision of your new bathroom. Only after you’re completely satisfied with the direction of the project, will our bathroom construction team come out to your home and bring the vision to life. Find out how you can work with Joseph & Berry to transform your bathroom today! Large remodeling projects can be stressful and can lead to so many questions. Can I live in my house while the work is being done? How long will a remodel take? How much will it cost? Am I ready for this? Joseph & Berry’s unique white glove customer service experience, stress-free process and clear communication will help you minimize those types of concerns and answer all of your questions. 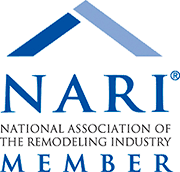 Our talented team will help you turn your remodeling dreams into a reality. A custom home build is a perfect solution for people who already have a vision of the home they want, and don’t want to spend months to years searching for the perfect house. While remodeling an existing home will hold some structural and design limitations, a new custom home allows you to shape every space and feature to fit your family’s specific needs. Using state-of-the-art technologies and energy-efficient applications, we build our homes to last. Joseph & Berry’s team will guide you step by step, from our first design meeting, all the way until your first family dinner in your new home, and for years to come with our lifetime warranty. What makes Joseph & Berry’s experience different? We don’t just call ourselves a luxury home remodeling company without a way to back up our claims. In the same way that brands like Nordstrom and Ritz Carlton create an unparalleled, deluxe experience for each and every customer – at Joseph & Berry, we aim to ensure that every communication and interaction is as pleasurable as possible, contributing to a memorable experience. We design our company culture to serve a busy and fast-paced lifestyle. You can keep focusing on your busy career and your precious family, while we will take care of your home. Our goal is to create a stress-free environment during the remodeling process, while providing top of the line customer service and a beautiful end product. Our construction management software provides real-time 24/7 access to construction scheduling, change orders, documents, photos, warranty management, selections, and much more. It will allow you to see your project progress on a daily basis from anywhere in the world (yes, you can still take that trip to Japan you were planning on!) Plus, everything can be managed in one place and the app can be accessed on all devices. No more one-man show. A builder that runs between several projects while trying to manage his own company at the same time? That’s not anyone’s ideal situation. Your dedicated project developer is in charge of one thing only, to communicate with you. During the pre-construction stage and throughout the entire design process, we will make sure that we build your home exactly to the specifications that your talented architect or designer envisioned and planned. Your project manager will visit your home daily and update your project portal with photos and important updates. This individual will manage the talented Joseph & Berry carpenters and trade partners to attain the best project results possible. We will stand behind our work as long as you live in your home. We are proud to be the only construction company in Dallas, Texas to provide a lifetime warranty. Our passion for customer service has allowed us to provide some of the best design and remodeling services in the Dallas, Texas area and around the world.